4/13/2019, Beijing, With the continuous growth of data traffic among and between data centers, the industry needs higher transmission speed. 400G data rate has been predicated in volume deployment from 2019. 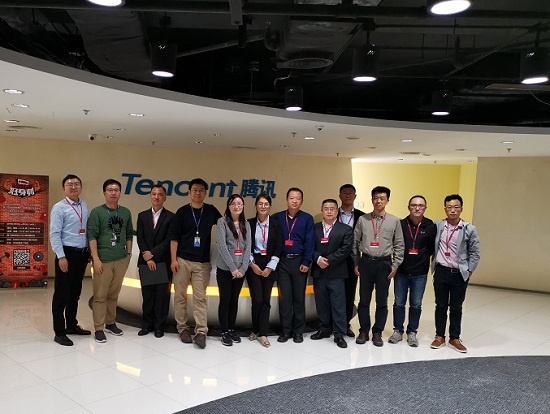 On Apri 10th 2019, China's Internet giant Tencent cooperated with ethernet switch provider Cisco, test instrument solution provider Keyisght（IXIA), connector supplier Rosenberger, and several transceiver suppliers held a 400G transceiver plugfest in Tencent's Beijing campus. 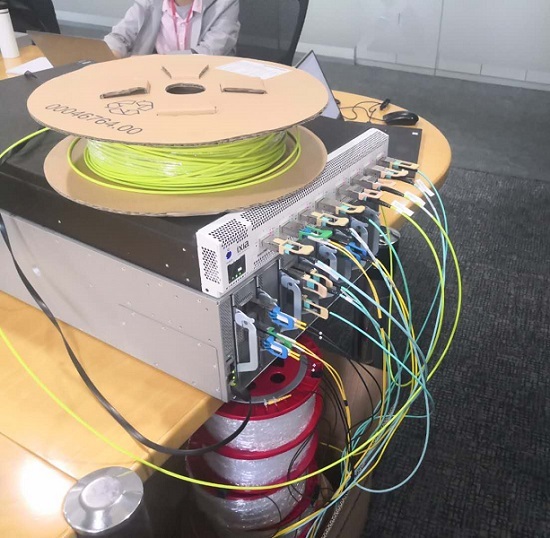 The 400G plugfest is said to be the first time inter-operation test on live 400G ethernet switch with most comprehensive products,highest technology level, according to Tencent. The plugfest targets transceivers of SR8, SR4.2, DR4 and FR4 type, distance from 100M to 10Km， including a supplier of silicon photonic transceiver. Cisco provides 32 ports 400G ethernet switch, Keysight provides 8 ports 400G testing instrument, Rosenberger provides full sieres high density connectors. The plugfest includes performance and network test. Each transceiver supplier should first make interconnection test themselves, then with other suppliers. "The plugfest provides not only the basic data for further deployment of 400G transceivers, but also the foundation for more applications through network test, performance evaluation,optimiazation. " ,according to Cordacord's analyst Ria Tang. In the plugfest, all transceivers in the test adopt QSFP-DD package, which is a pluggable transceiver MSA founded in March 2016. From the plugfest, although all transceivers accquired ideal performance on distance and datarate, but some transceivers still have problems on power consumption and heat radiation. Tencent is the pionneer on 400G deployment in the world. Dr. Sun, Min, Senior Optical Inter-Connect Infrastrure engineer points out: "There is strong requirement on 400G in the industry. With the rapid deployment of cloud computing, higher speed optical interconnection meets expections of all internet companies. The plugfest actually helps Tencent better understand the real situation of 400G products. From the plugfest, there are still not enough suppliers for both high-end switch and transceivers. Secondly, the plugfest is helpful on bulding our own 400G standard and requirements There are too many standards in the field of 400G transceivers today. Thirdly, we expect the plugfest can promote the further development of 400G products. " Tencent didnot disclose the names of 400G transceiver suppliers in the plugfest. In the plugfest, 400G ethernet switch is from Cisco. Test solution is from Keysight. Mr. Yang,yifeng, product manager of Keysight said:"we are honorable to attend the test. Keysight's AresOne 400G can generate as high as 3.2Tbps data traffic, improves the effiency of the test. " The plugfest's connector solution is from Ronsenberg. Mr. Zhang,desheng, product manager of Rosenberger tells us :" Rosenberger provides all sets of connector including SM/MM OM3/OM4 and new OM5 fiber. It is their honor to attend this comprenseive and high level 400G test. Although there are different type of termination for 400G transceiver, cable suppliers can handle this easily. Anyway, the unification of connector types is a promotion for further development of the industry. " There will be 2nd 400G plugfest in this year. Cordacord will give you further report on this.